From rocking in your favorite chair to relaxing in your backyard, home care allows people to feel comfortable. If you are at home, you do not have to comply with any strict routines, meaning that you can relax with friends and family and enjoy your coffee at any time. Since your loved ones are close by, a recuperating adult or senior can focus on getting better and regaining their health with little else to fret over. Your caregiver comes to the home with one intention, and that’s to make sure that your loved one gets proper attention as well as quality care. With a competent caregiver, your loved one will get personalized care to enjoy the ultimate comfort they deserve. Even if you want the services of a caregiver on a 24-hour basis, it is possible to have the social workers operate on shift. With home care, your loved one has the liberty to choose where they feel comfortable. From the comfort of your home, you can enjoy the facilities according to your wish. In addition, a senior is allowed to go out to enjoy active and passive recreation amenities in the neighborhood. The ability to participate in various recreational activities can help a sickly veteran to get well soon and become more independent. If a person is having some mobility problems, exercising often can help them to recuperate fast and regain their freedom. From proper nutrition, good sleeping patterns, mobile health facilities, and intellectual development, a home caregiver that provides these perks in an all-in-one package can work to your advantage. Considering that the facility will have plenty of family members, having a good relationship with the caregiver will ensure that your loved one gets special care and attention. By doing your homework, you can make a good decision if you select the best home care assistance from several alternatives. However, you should not make the decision based on price alone. Quality home care agencies becomes a part of your family. How well a caregiver fits in the family can also determine the rate of recuperation of a loved one. 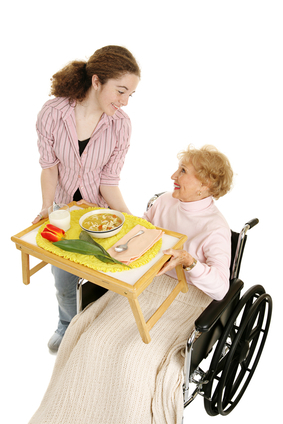 If the caregiver feels welcome, they can come home for social visits without necessarily charging some exorbitant fees. Besides ensuring that a loved one gets premium care, you can also enjoy the peace of mind if you know that a loved one is in good hands. If you choose a nurse well, you loved one will not feel neglected, but will have an opportunity to make friends.